The Army-Navy game has made some rare offseason headlines in the last few weeks — not for any on-field reasons, but as an inconvenient outlier for college football’s new playoff system. For Army West Point and Navy fans whose college football season begins and ends on the same Saturday in December, here’s a quick primer: The rankings that determine which teams will play in the College Football Playoff, and the four other top-tier bowl games played on or before New Year’s, come out the weekend before the Army-Navy game. Last year, this simply meant the rankings ignored the game, but that could be more complicated this time around … and it’s all Navy’s fault. 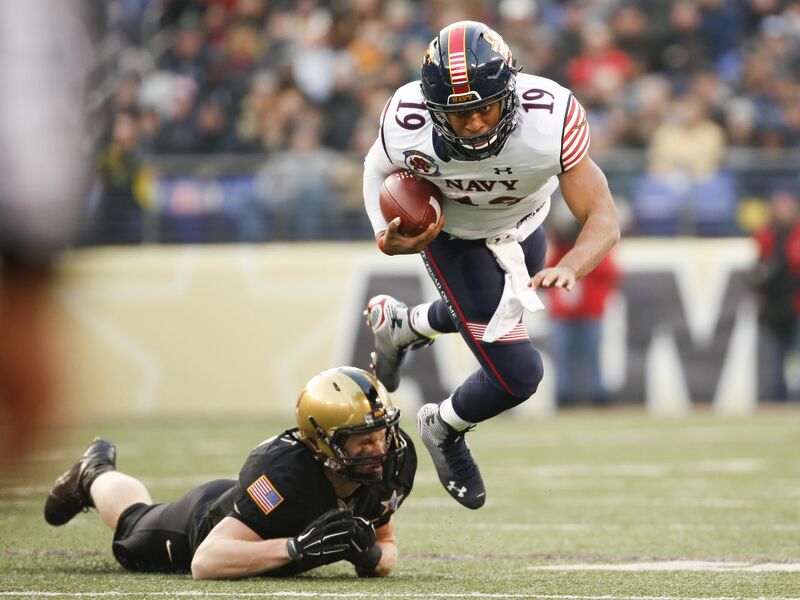 The Midshipmen will join the American Athletic Conference this season as a football-only member, marking the first time Navy football had been involved in conference play. The AAC is one of five second-tier conferences known, fittingly, as the “Group of Five.” The highest-ranked team out of those conferences is guaranteed a spot in a big-money bowl game. So, what if Navy is ranked highest among that group, gets invited to a New Year’s Day bowl, then gets demolished by Army West Point the next weekend? The bowl faces a marketing disaster, the CFP leadership looks foolish, and Army coach Jeff Monken gets a raise. Hoping to avoid at least two of those outcomes, plans are in the works for a contingency operation should Navy enter the rivalry game ranked at the top of the Group of Five heap. One plan, outlined by CBSSports.com’s Dennis Dodd, would swap Navy with the second-ranked Group of Five team should the Mids lose to Army. This would give the big-time bowl a better team to market, but it would result in some last-second shuffling to a bowl schedule that begins the weekend after Army-Navy. academy’s unique national profile … it’s less than even money, but stranger things have happened. Speaking of heavy odds, Athlon ranks Army West Point 120th out of the 128 top-tier college teams. The rivalry game is back in Philadelphia this year, Dec. 12 at 3 p.m.